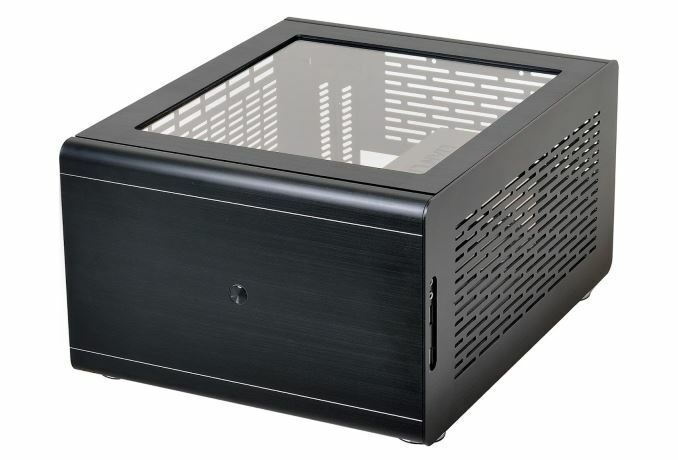 Lian-Li has announced their latest small form factor (SFF) chassis, the PC-Q38. 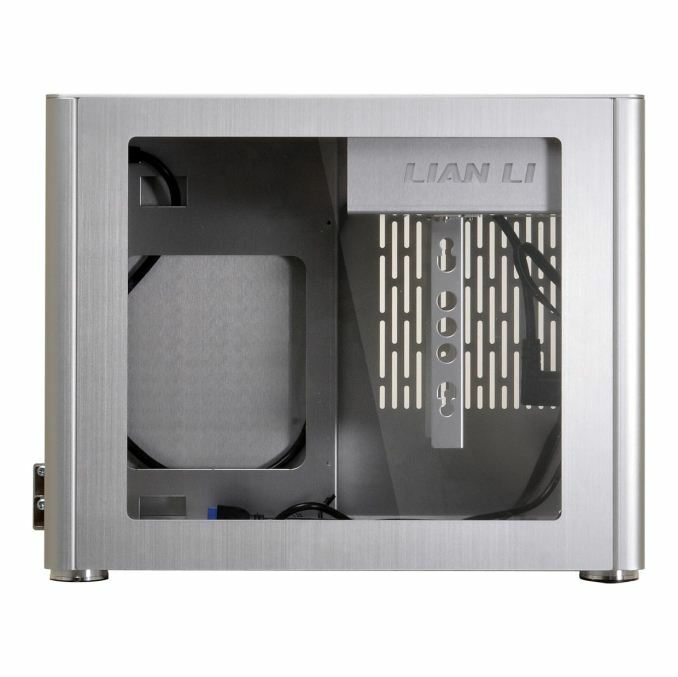 Lian-Li calls the full aluminum, windowed Mini-ITX case one that focuses on performance per liter, offers liquid-cooling potential, and for those who find the PC-Q37 is too big for their needs. Outside of being smaller than the ITX supporting models surrounding it, the styling has changed. A single power button surrounded by a blue LED sits in the middle of the gray (or silver) brushed aluminum face The edges are rounded lending it to a more classic and subdued look. The PC-Q38 looks the part of an HTPC and does not take over the room with a flashy appearance. 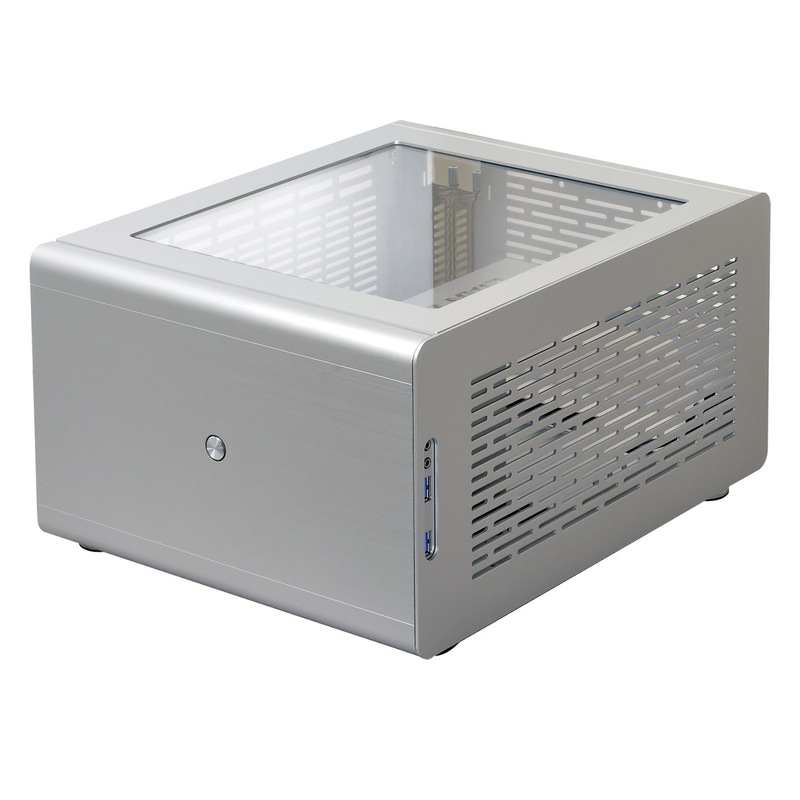 Due to its moveable rubber-padded aluminum feet, it is able to be oriented both vertically, with the windowed panel to the left, or laid horizontal with the window on top. All panels, excluding the front and windowed panel, have long holes cut into them for ventilation purposes while all are easily removed for cleaning. Dust filters were not included, so more frequent cleanings may be required. The front panel is located on the top (while standing up) and has two USB3.0 ports as well as 3.5mm front panel microphone and speaker plugs. Though many of the latest mITX motherboards will have USB 3.1 (10 Gbps) Type-C port on their back panel IO, I would have liked to see it on the PC-Q38’s front panel as well considering motherboards are offering front panel connections in the latest chipsets already. Specifications show support for 2x 120mm fans up top and what looks to be another on the back. 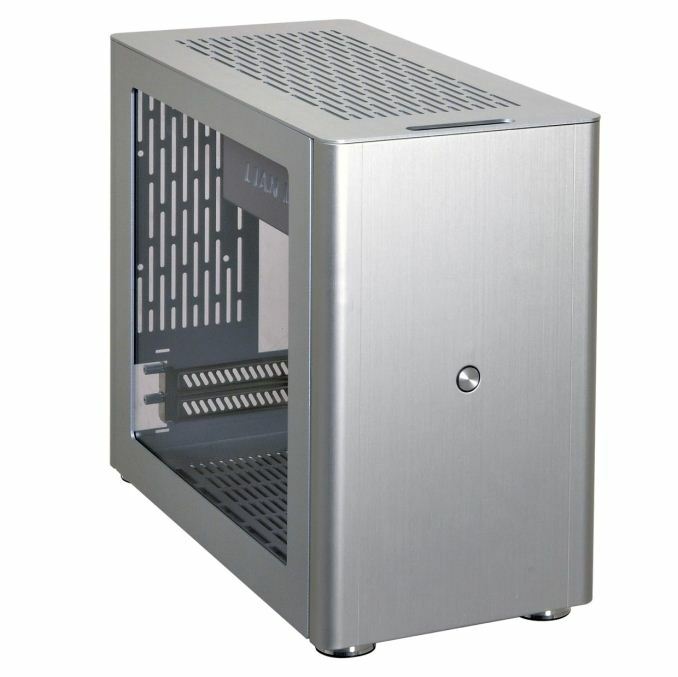 The top of the case is able to house up to a 240 x 120mm radiator, or if air cooling is the plan, a CPU cooler up to 145mm tall can fit. Graphics card support is up to (L)315mm x (D)142m (over 12.75” long); Enough room for most high-end GPUs. Users are able to mount three HDDs inside the case, two 2.5” and one 3.5”, which should be adequate for many users, particularly those using an M.2 drive. By default, the PC-Q38 requires a SFX based power supply up to 140mm. 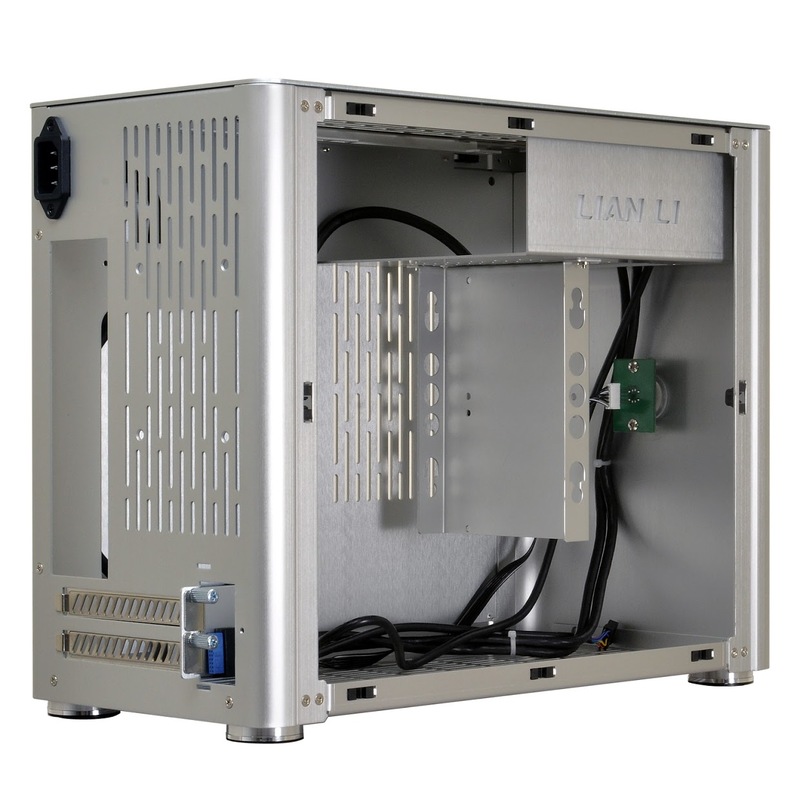 Lian-Li will offer an optional bracket in order to use the more common ATX form factor units. And with their footprint also coming down in size, options are available. HDD/SSD Bays 1 x 3.5", 2 x 2.5"
The Lian-Li PC-Q38 is available at Newegg for $109.99. The SFX to ATX PC-Q38-1 PSU kit will be available soon (price was not mentioned). "...front panel connections in teh latest chipsets already." That would be interesting yes. Also to compare to the entropy case which I find more interesting to be honest.